GrimWar is a work-in-progress action/adventure game for mobile devices. You explore a gigantic tower, trying to reach the top. Each floor brings a different event. You may have to make difficult choices, amass treasures, protect yourself from monsters, awaken ancient powers, avoid traps or do whatever it takes to survive. And the list goes on… Bon voyage ! Have you ever wonder how wizards get to live in those magnificent towers ? Did they build them ? Did they magically create them ? Are they long-bearded squatters ? Maybe some are, but no. They stole them ! Well, sometimes, stealing does not work. That’s when wizards called us to clean towers from their evil residents. And that’s when YOU are sent to one of these… Good luck ! 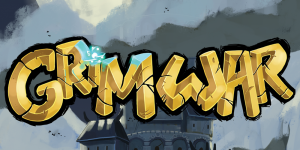 We are GrimWar, the best estate agency the magical world has ever known.